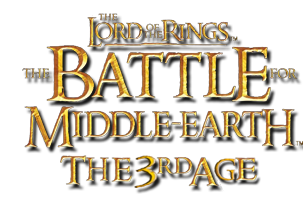 The purpose of this mod is to add an Elven Faction with new heroes, units, and structures to the real-time strategy game The Battle for Middle-Earth by EA Games. It is still in the making, and I do not have a release date set for it at this time. This mod will not be anything terribly revolutionary, but if your looking to get your Elven fix, this mod will suit you well enough. Factions: Elven Faction containing units and heroes from Mirkwood, Rivendell, the Grey Havens, Lothlorien, Edhellond, and Woody End. Heroes: Arwen, Elrond, Galadriel, Celeborn, Haldir, Glorfindel, Thranduil, Gamling, Hama, Gothmog, Ugluk. All new heroes have their own unique skins, models, and special abilities. Also, Eowyn, Eomer, Merry, and Pippin will see some changes in the mod. Furthermore, Frodo and Sam will be recruitable from Gondor. (Please see the Heroes page for more information). All heroes (except the Nazgul, Lurtz, and the Witch King) have been given new, high resolution skins. Thats weird, It worked really good for me! umm when you save this wat file do you save it to??? like does it need to be saved in the games file or just any file will do???? Very good mod! ;) My fav. faction Rohan and fav heroes, Gamling and Hama. I dont know why, but when you patch it to 1.03 the Gimli axe does area of effect damage, and Boromir damages a target and the one behind it... its cool, oh yeah, ive been using this mod forever, never found a better mod for BFME than this one.................... SO DOWNLOAD IT YA FOO!!!!! I had that exact same problem when I first downloaded the mod. Just download the patch 1.03 and patch up your game to get it to work. You installed the 1.03 Patch?